CPU Faulty? i9-9900k - System restart on loading into x-plane other games. Discussion in 'Overclocking & Cooling' started by RefutedUK, Jan 23, 2019. 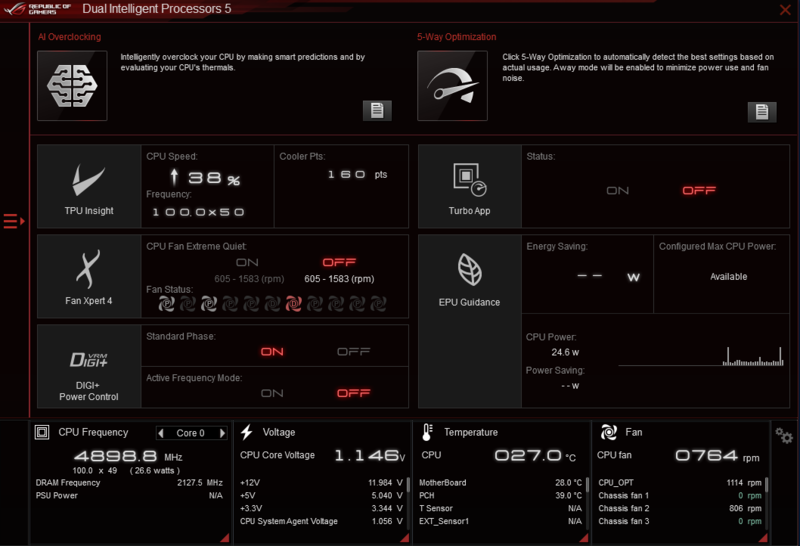 (The stats below the cpu is running at 65c which is totally wrong, my core temp and AI suite is 30c must be a error within the gpu-z programme. "So just to recap when its running like it is now at 4.9mhz it opens xplane all is fine perfect - when i reboot and it ticks to 5mhz i open xplane and then it instantly restarts - heat is fine so it cant be that"
5GHz can need anywhere in the region of 1.25 to 1.4v under load depending on the CPU sample, and even then, not CPU can achieve this. Moreover, judging by how quickly the system crashes when bumping the multiplier it's possible 49 is conditional, too. A CPU not reaching a 5Ghz Overclock doesn't mean it's defective. Only if the CPU doesn't work at stock settings, then you may consider it defective. The moment you overclock your CPU/change voltage/increase multiplier, you run the risk of having an unstable overclock. Even though most 9900K owners can, it doesn't mean that 5Ghz overclock is guaranteed. yep its cpu lottery. Mine runs upto 1.5v for 5ghz on the rare occasion but normally sits between 1.3 and 1.4. But i don't have mine running at 5ghz constantly. I have a stable I9 99OO at 5GHZ with the voltage on auto. I also fly Xplane 11 with no problems. I've seen on here people achieve 5Ghz at 1.26v, I'm not so lucky. 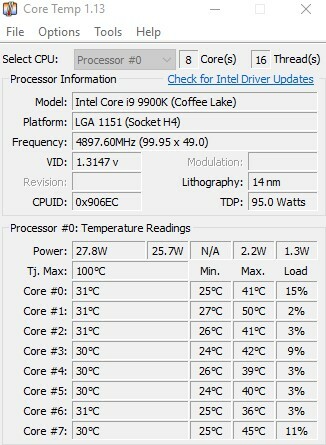 5Ghz all core takes at least 1.28/1.38v for me. Defiantly better to overclock from the BIOS though. Don't assume someones settings will work for you because that is defiantly not the case 9 times out of 10.